Following on from my last post I can now confirm the title of my new book… drum roll please…Christmas at The Dog and Duck. Ellie Browne has left behind her high-flying job in London to return to the charming village of Little Leyton. Working shifts at The Dog and Duck and running her own doggy-day-care business, Ellie’s looking for a much simpler way of life and a good old fashioned Christmas. It’s supposed to be the most wonderful time of the year, but can Ellie juggle her emotions and commitments in time to celebrate Christmas? No cover yet, but coming very soon. As soon as it’s available, I’ll be posting it right here! I know I’ve been very quiet but that’s not to say I haven’t been busy. I’ve been holed up in the writing cave working on my latest novel, a romantic comedy set in a charming village in the depths of the English countryside. The book features a warm and likeable heroine called Ellie Browne, a welcoming pub that is at the heart of the village, lots and lots of lovable dogs, and a too gorgeous for his own good property developer, Max Golding, who is ruffling feathers all round. I had such fun writing this book. I didn’t write it to a deadline or with any publisher in mind, so I enjoyed the freedom of just going where the muse took me. The book is full of quirky characters, romantic twists and turns, a selection of tempting craft beers (! ), and plenty of Christmas sparkle too. As I was coming to the end of the book I heard about a new digital imprint from a dynamic independent publisher and on something of a whim sent my manuscript off to them. Within a couple of weeks I’d heard back – they loved my story and wanted to talk to me about it. 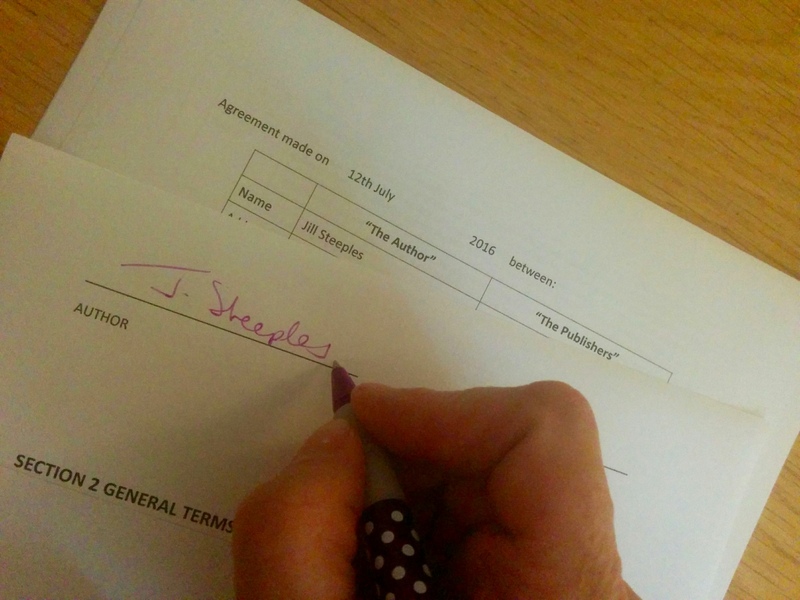 It was a case of being in the right place at the right time and I’m very pleased to say I’ve signed a four-book contract with the publisher. This novel will be the first in the series of four set in the delightful village of Little Leyton and I can’t wait to share these lovely characters with you. We’re just putting the final touches to the story now. The book is due to be published in October – not too long to wait – and as soon as I can share some more details – cover, title, blurb – I will. Meanwhile, here I am signing on the dotted line!